Xu Le is a bestselling author who never left home. He was recently struck with a case of writer's block and is in search of an inspiration so he decides to work as a taxi driver hoping that by listening to his passengers that he'll be struck with some inspiration. Coincidentally Xu Le meets his high school classmate, Ah Hao, who is also a taxi cab driver. 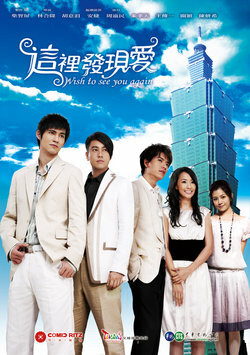 Ma Yong Rui is an heir to a five-star hotel and is also Xu Le's and Ah Hao's old classmate. Lu Yi is now a fashion magazine editor and she was the dream girl that they all wanted. Pan Neng Xian is a 24 year old girl who recently graduated from college. She gets a job as a PR assistant in Yong Rui's five-star hotel.